Vinnies is immensely proud to walk with people experiencing mental health issues and it is in this spirit we celebrate Mental Health Week 2017 (October 8-14) and World Mental Health Day (October 10). Vinnies actively works to achieve greater acceptance for people by challenging community attitudes that stigmatise and ostracise people through ignorance and fear. World Mental Health Day is an initiative of the World Federation for Mental Health and it aims to raise public awareness of mental health issues worldwide. Mental Health Australia is leading the World Mental Health Day campaign in Australia. One in every five Australians aged between 16 and 85 will experience a form of mental illness in any year. At Vinnies we aim to foster greater community awareness of mental health issues to build a more welcoming and inclusive community. 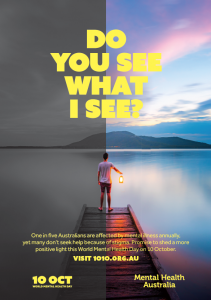 The theme of Mental Health Week 2017, ‘Do You See What I See?’, challenges perceptions about mental illness in Australia in an effort to reduce stigma and help more people seek the help and support they need. We know that people experiencing poverty and those at risk of homelessness may suffer multiple types of health-related disadvantage, such as poor physical health, mental illness issues and addiction. This intersection between mental health and a range of other issues is also known as the Social Determinants of Health approach to mental health. Vinnies is concerned with all areas of health, but the primary focus is the health of the most disadvantaged. The majority of the work Vinnies does with health is with people living with a mental illness. 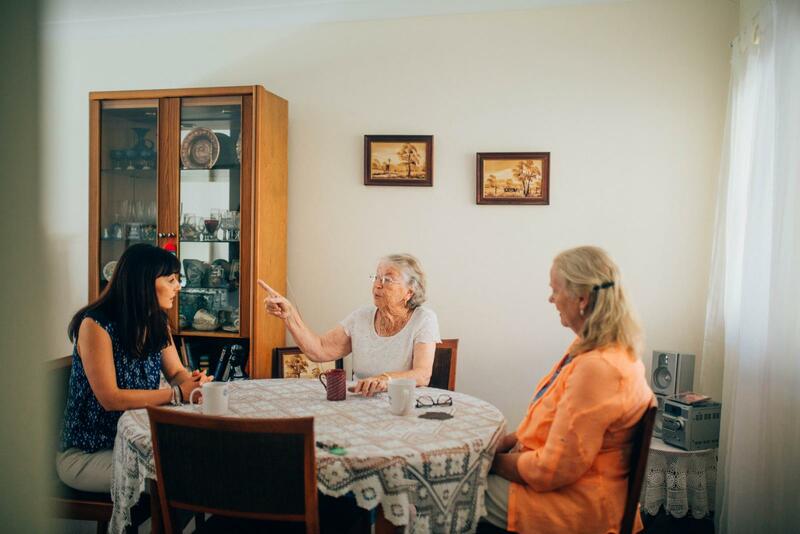 At Vinnies, we work directly with those experiencing mental health difficulties, helping them to reconnect with the community. Our Compeer program is an internationally recognised and award‑winning volunteer program that helps people with mental illnesses through friendships and support. The program also helps break down the stigma associated with mental illness. Compeer matches volunteers in one-to-one friendship with people who have become socially isolated due to mental illness. In Western Australia, Vinnies runs Vincentcare, which offers accommodation and support to people with a lived experience of severe and enduring mental illness or homelessness. 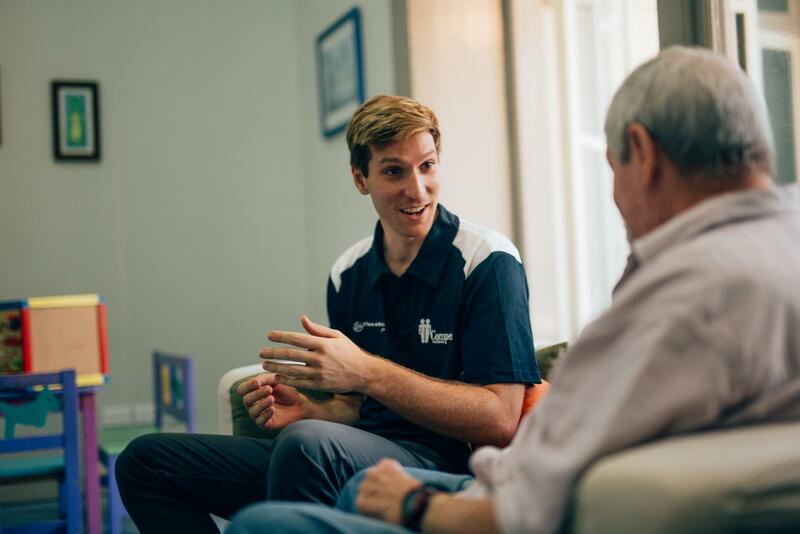 If you want to get involved, you can become a volunteer in our Compeer Friendship Program that operates in ACT, NSW, QLD and VIC. You can also volunteer for a host of other services that we offer. Visit the Find Help section of our website if you or somebody you know needs assistance. Visit the Health Matters section of our website to learn more about our advocacy and services, such as the Compeer program, which is a friendship program that helps people with mental illness through friendship and support. Read the submissions Vinnies has made to government on the topic of mental health reform. Visit the ‘Do You See What I See’ campaign website run by Mental Health Australia and make a #MentalHealthPromise.